The Hearts Become Flowers with Other Color Combinations! 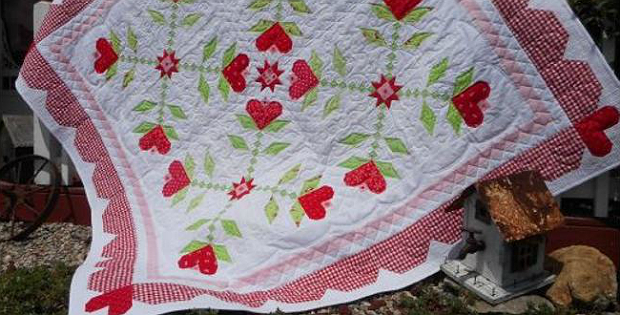 This sweet quilt was designed as a seasonal Valentine’s quilt but it will be lovely on display all year long. 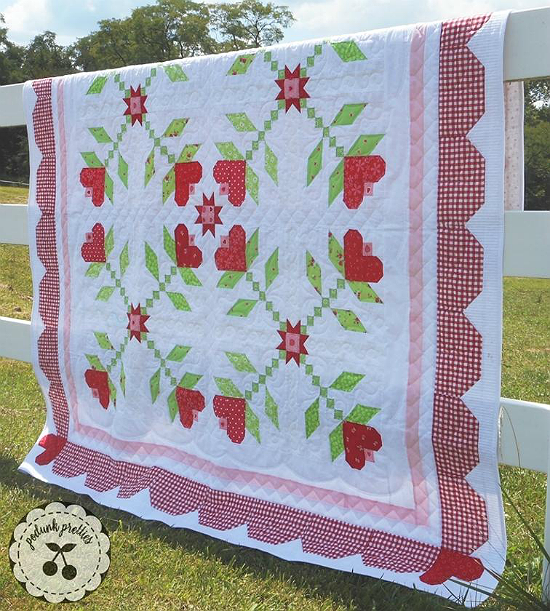 Lovely heart blocks top pieced stems, while a pretty scalloped border in lighthearted gingham adds to the quilt’s appeal. It was patterned after a traditional applique design but is created entirely with standard piecing. Plus, other color combinations bring to mind flowers instead of hearts, making this a versatile pattern to style however you want. While the pattern specifies fat quarters and fat eighths, the quilt will also be lovely as a scrap quilt. 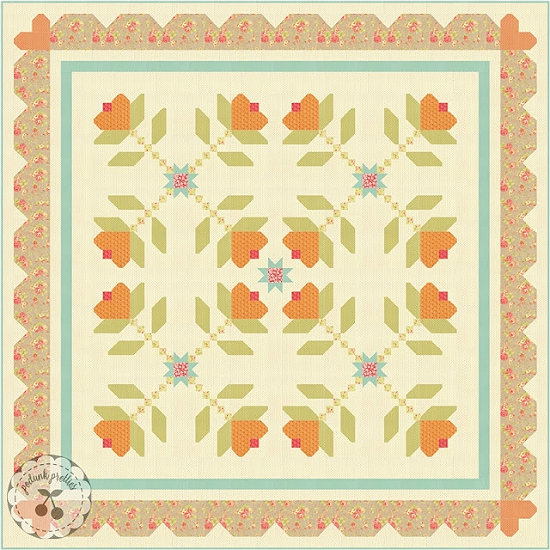 It will be fun going through the stash to create your own special version of this beautiful quilt. The finished quilt, designed by Podunk Pretties 75″ x 75″. 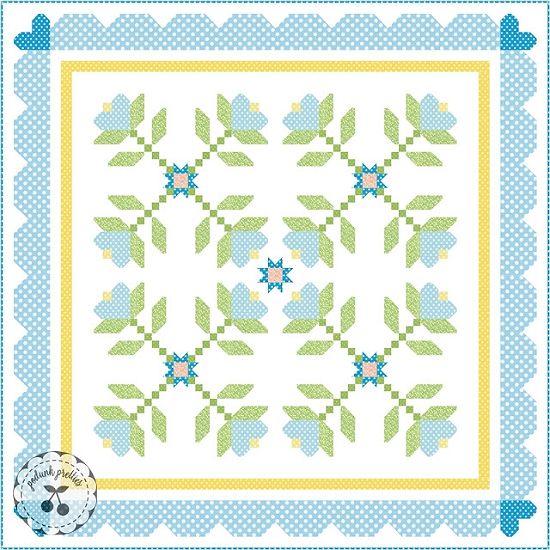 Click here to purchase the “Sweet Sixteen” quilt pattern.